Yesterday, I had the pleasure of attending the second annual Girl Summit in Washington, DC, where American Jewish World Service joined other organizations to discuss a problem that affects 15 million girls each year: early and child marriage (ECM). AJWS was thrilled to launch our new policy brief at the event, “What’s Missing in the Fight Against Early and Child Marriage: Insights from India.” If you missed it, read on for a few highlights. Adolescent girls hang out at Awaaz-a-Niswaan in Mumbai. Formed 30 years ago to challenge laws in Muslim communities that restrict women’s rights, Awaaz now organizes gatherings for women and girls to learn how to advocate for themselves. Photo by Jonathan Torgovnik. Social norms and economic insecurity have led many parents in India to view ECM as the key to guaranteeing their daughters’ long-term access to food, shelter and other basic necessities. 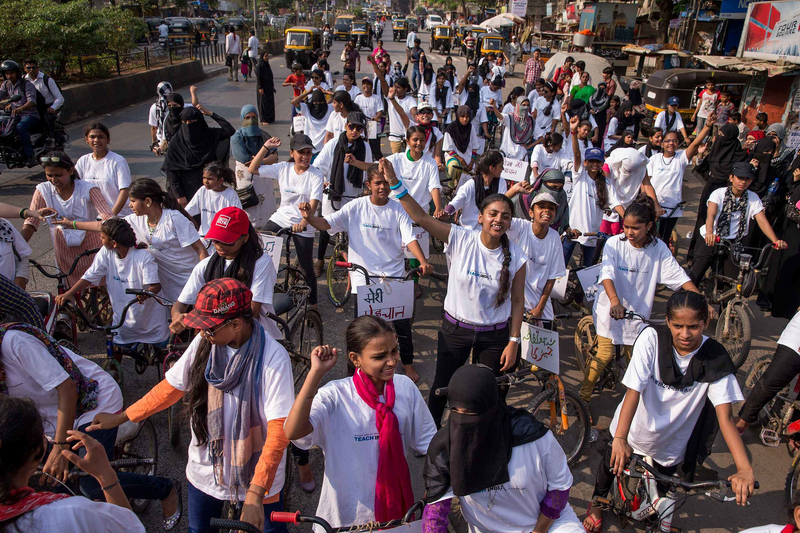 Nearly 100 women and girls from Awaaz rode through the busy streets of a conservative community in Mumbai to rally for gender equality. Photo by Jonathan Torgovnik. Highly restrictive beliefs about gender roles often make it difficult for girls and women in India to gain equal access to higher education or well-paying jobs. These entrenched, structural barriers reinforce an idea long-held by many communities already: that a girl’s best option in life is to marry someone who will support her financially. Surrounded by these constraining cultural messages and limiting structures, many girls in India grow up believing they don’t have a right to make informed choices about their lives and bodies. In turn, many girls and young women are effectively denied the right to choose if, when, whom and how to marry. 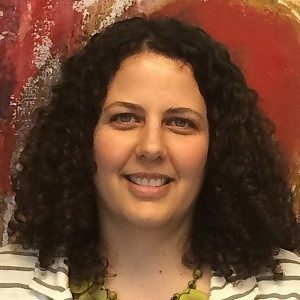 Early and child marriage doesn’t just lead to a set of restricted choices; it reflects and reinforces a set of restricted choices that already exist. Many current efforts to address ECM in India have focused solely on delaying the age of marriage until 18 or older in order to reduce negative health and educational outcomes. But the age of marriage is not the sole cause of these problems and restrictions on girls’ choices, so postponing marriage by a few years will not necessarily expand girls’ opportunities. Change cultural beliefs about gender roles and encourage women and girls to consider futures that previously seemed out of reach. Help girls and young women develop agency—the ability to choose and to act independently—so they can take action to advance their goals. Increase the availability of institutions, policies and services that enhance the ability of girls and young women to pursue jobs and education and realize their sexual health and rights. Ensure access to support, resources and services and overcome any resistance from families and communities. To develop a coordinated, comprehensive and effective approach to ending early and child marriage, the U.S. government should commit to investing in and developing programs that draw upon the Four A’s approach. For example, the U.S. government can support other countries in evaluating progress toward Sustainable Development Goal 5.3—which aims to eliminate early and child marriage—with a focus on measuring indicators of young women’s empowerment and agency, not just their age at marriage. The U.S. government can also support interventions that offer girls the information and skills they need to make informed decisions about their lives—including comprehensive sexuality education and sexual health services. To read more about the solutions that AJWS developed with its partners to end ECM in India, read the full policy brief. Check out AJWS’s Storify page for social media highlights from the Girl Summit. And learn more about our work to end child marriage: visit ajws.org/childmarriage. Timi Gerson leads AJWS’s government affairs and public policy efforts in Washington, D.C.